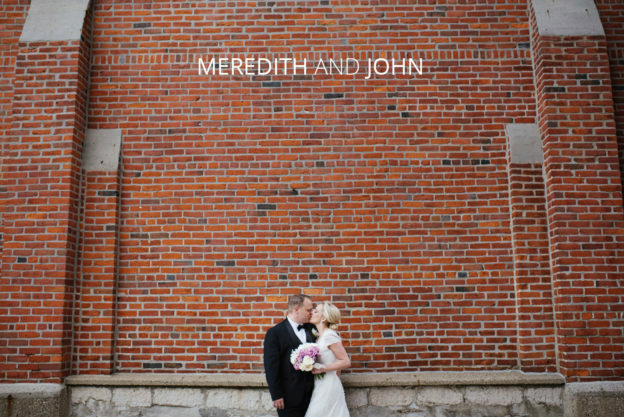 Meredith and John’s spring wedding was nothing short of a stunner. Overflowing floral in every corner, a sophisticated color palette, and incredible family and friends made the day flawless. 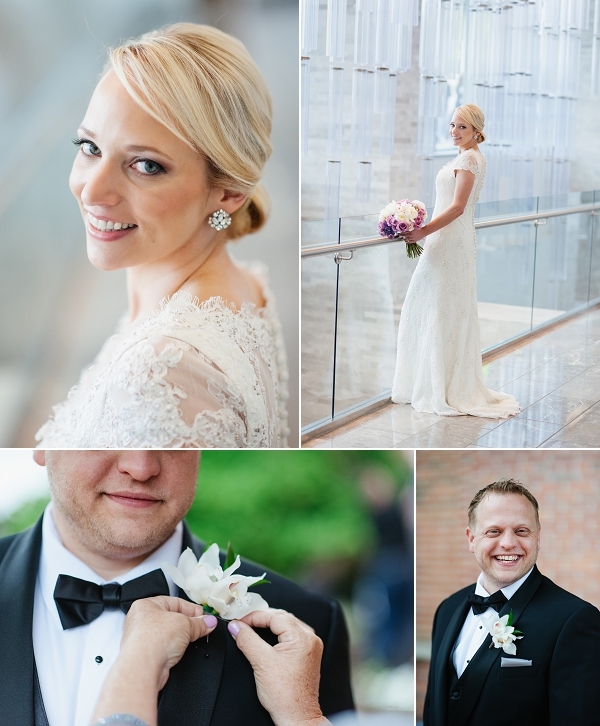 I love it when my brides get ready at the Hilton in downtown Columbus. It’s a perfect mix of modern and elegant. When I arrived, the room was buzzing with excitement, awesome music, and smiling faces. The pink and white bouquets were so striking against the soft flowing gray bridesmaids dresses. Meredith was simply glowing all day and side note- she literally has some of the most beautiful eyes I’ve ever seen in my life. 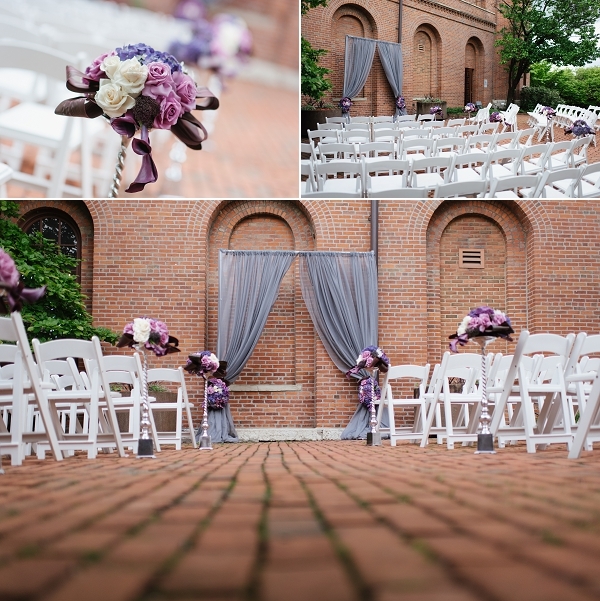 The stage was set at the Columbus Cultural Arts Center downtown for an intimate outdoor ceremony. It was so romantic. The brick patio had accents of green moss between the pavers, Vessel Florals added the most elegant pillar floral arrangements down the main isle, and all of it led to a soft gray fabric backdrop. Meredith’s brother officiated the ceremony which made for some touching and humorous moments. I always think it’s extra special when loved ones marry the bride and groom.